Why women choose to give birth at home. While giving birth in a hospital remains the most popular option for mothers in New South Wales, a few hundred women choose to give birth in their homes each year. Anne Turner is the mother of three children, one of whom was born at home, and is a committee member of the Hunter Positive Birth Support Group based in the Newcastle area. The group aims to offer peer support, information, and an opportunity for pregnant women and mothers to share their experiences. “We want women to feel allowed to enjoy that [birthing] experience, and to find ways that they’re going to be able to enjoy that experience, rather than being frightened of it or having it over-medicalised,” Ms Turner said. “A lot of women feel that it’s a normal life event, and where they live is where they want to birth. “It’s a very big difference for women who’ve birthed in hospital and home. 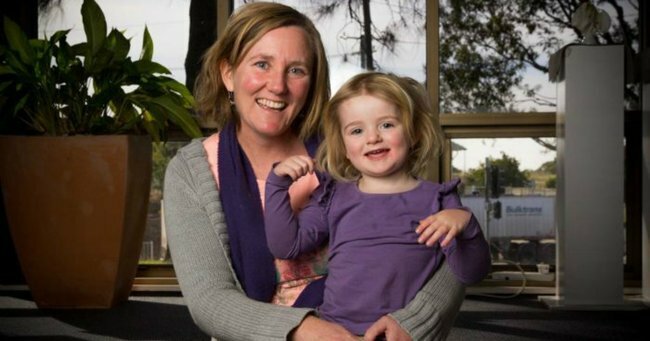 In the Hunter Valley, Hunter New England Health (HNEH) operates the Belmont Midwifery Group Practice (BMGP), which in turn runs a publicly-funded homebirth program. It is open to women who have no identified birthing risks and are booked into the BMGP. The group said it followed strict guidelines and was in constant contact with obstetricians. In NSW in 2014 there were 228 planned homebirths and 30 homebirths that ended in hospital admissions. In the HNEH district in 2014, there were 72 planned homebirths and nine homebirths that resulted in hospital admissions. In the same year, there were 9,728 hospital births in the region. The Hunter Positive Birth Support Group helps mothers to share their experiences and offer advice. Ms Turner had two of her children in hospital, but her third child — a daughter named Aisling — was born at home. “It was just the most beautiful day in our family’s life,” she said. “The environment of birthing at home is indescribable. Before I did it, I was very pro-homebirth as an option, but I didn’t understand how different it would be until I did it. “Aisling was born just before dinner time, so my mum just fed the kids [their] dinner, and they popped in and out to visit the baby and go back to their pasta. Ms Turner said having a midwife at the birth who she knew well helped her feel more at ease. “The great thing with homebirth is you have the one midwife looking after you the whole time,” she said. “So you would tend to develop a good relationship with them and ask a million questions along the way that come up. “You do need to prepare the house a little bit — just having lots of warm towels and a warm blanket for the baby, maybe a waterproof mat or something in the home. But it’s not as big a deal as people often think it might be. Women with high-risk pregnancies are not advised to have a homebirth. While she was committed to having her baby at home, Ms Turner said she would have rethought her decision if her baby was at risk. “I was just concerned that something would risk me out of being able to stay home, and I really, really wanted to stay home,” she said. “Obviously [you would] rethink it if it’s not safe to be at home; and if it wasn’t safe, then of course I would’ve gone to hospital. Mother of two Stina Oftedal had her first baby in hospital two-and-a-half years ago. “That was mostly a positive experience, but there were a few things that I was hoping to avoid this time around,” she said. Ms Oftedal said her homebirth went to plan, and she preferred that experience over being in a hospital. “They try to make the birthing rooms at the hospital less clinical, but it’s still a hospital and there’s still the equipment around,” Ms Oftedal said. “It was less disruption to the whole labour process [birthing at home]; I sort of didn’t have to think too much. “I didn’t feel that the risks were any higher than in hospital really. I felt like they were on the ball of transferring me to hospital if there was any chance of anything going wrong.